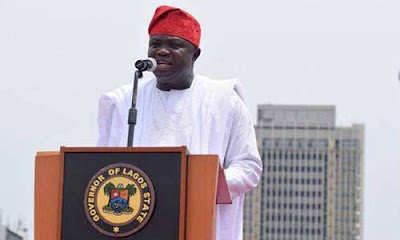 Lagos State governor, Mr. Akinwumi Ambode, yesterday, directed that tomorrow’s thanksgiving service for the state’s 50th anniversary and second year anniversary of his administration be moved from the Chapel of Christ the Light to the Banquet Hall of Lagos House, Alausa. The directive may not be unconnected to the outrage trailing the removal of the Presiding Chaplain of Chapel of Christ the Light, Venerable Femi Taiwo, who was allegedly sacked and evicted from his official apartment. The sack was linked to a development during an anointing service earlier in the month held in the church where the wife of the governor, Mrs. Bolanle Ambode stormed out following a situation attributed to the Chaplain. It said the theme of the event, which is scheduled to commence at 10 am is: “Pressing on to Greater Heights,” adding that Pastor Mathew Ashimolowo would be the guest speaker. Meanwhile, the state government said it has concluded plans to end the Lagos@50 celebrations with a spectacular display of fireworks. According to a statement by the Commissioner for Information and Strategy, Mr. Steve Ayorinde said fireworks would be on display at midnight on Sunday at Eko Atlantic City. The statement reads:”This is to inform the public that there will be a display of fireworks as part of the music and fashion show to round off the 50th Anniversary Celebrations of the state.